Charmaine and I lived in our parents’ house for most parts of our lives. As a married Singaporean couple, we have yet to have a place of our own and we don’t have the luxury or means to own a car. Little did we expect that our first home will be on wheels. A campervan that is. We bought a retired DHL van, furnished with some basic carpentry. Charmaine sewed new curtains and squabs, and I shopped for matching kitchen wares. Once we got everything we needed inside, we designed the decals for the outside, making the van less DHL-looking. Living out of a van also meant that there are limitations to the every comfort that we were used to. A basic lifestyle that forced us to be more intentional with whatever we were doing. How long more can we work on our laptops before the car battery runs out of charge? How much water can we consume before the water tank goes dry? How do we cook without a proper kitchen? But Charmaine surprised me. I didn’t know she can cook. She claims she still doesn’t. I think she has a flair for flavours. She said she’s just glad that I’m easy to please. After five months, we got used to shifting manual gears and had our lifestyle shifted towards nomadism and communal living. 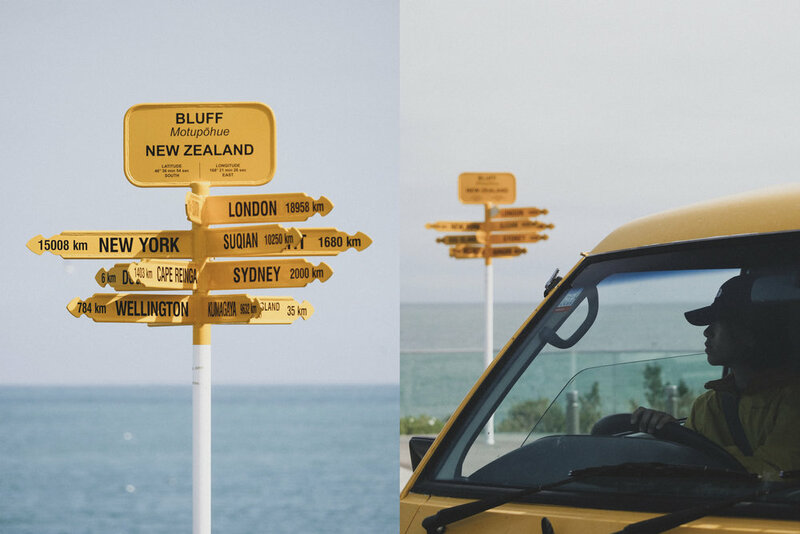 We drove from southern Bluff to finally reach Cape Reinga in the north, enjoying many pockets of nature and many friendships forged in between. Now that we have lived in a van, I think our future 3-room BTO flat will be a luxury of space.